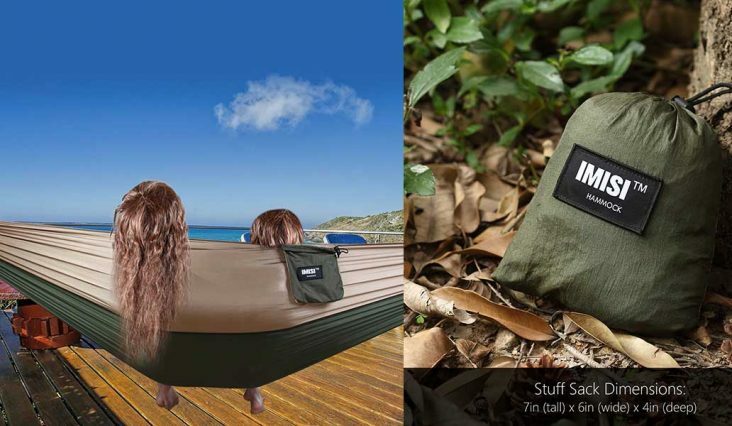 If you love spending time camping for relaxation purposes then you will appreciate this portable camping hammock. 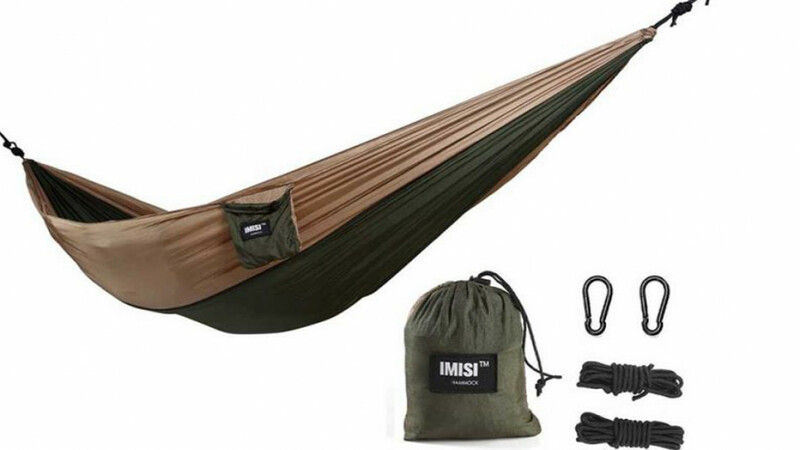 It is wide enough and strong enough to support one or two people and is made from parachute nylon. 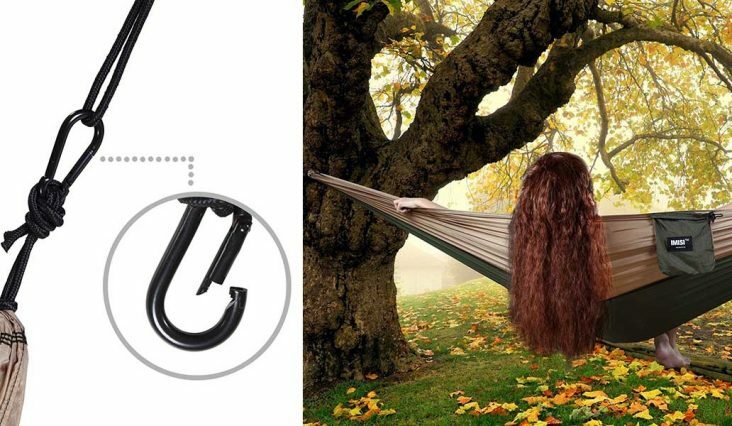 It will dry quickly if it gets wet and it's lightweight which makes it easy to take everywhere with you. The fabric is not only extra durable but it is also very soft so that you can enjoy the ultimate in comfort while using it. No stand is required as it comes with everything needed to attach it to trees, poles or whatever else may be around that you can use.